ANCHORAGE, Alaska (CNN) -- Alaska lawmakers investigating Gov. Sarah Palin's firing of the state's public safety commissioner put off a Friday hearing after most of the witnesses they subpoenaed last week failed to show up. Alaska Gov. Sarah Palin is being investigated for the possibly improper firing of a state official. Subpoenas were never served on seven of the 13 people after Alaska's attorney general scuttled a deal with legislative leaders to arrange for their statement, state Sen. Hollis French, the investigation's manager, said Friday. Two aides to the governor -- now the Republican vice presidential candidate -- were served and refused to comply, and Palin's husband, Todd, was among the no-shows. "I have spoken to Mr. Branchflower this morning. He is continuing to gather information and expects to complete his investigation by October 10," he said. French, a Democrat, has become a lightning rod for allies of the Alaska governor, who have accused him of turning the investigation in a "partisan circus." Palin has halted her cooperation with the investigation, which was commissioned by a bipartisan committee of the Legislature before she became Sen. John McCain's running mate. "It's a bad face for us to put up to the public, and it continues to impugn public mindedness and statesmanship of the political process," said state Sen. Fred Dyson, a Republican who has asked an Anchorage court to shut down the inquiry. "It's become a full-contact sport with no rules of engagement. It's very disgusting. People have a right to be disgusted, as they try to refrain their gag reflex. " The resistance has been fueled by remarks made in early September by French, the chairman of the Senate Judiciary Committee. In an interview with ABC News, French said the investigation -- which had been scheduled to wrap up at the end of October -- could present an "October surprise" for the GOP ticket. Lawmakers have little recourse when witnesses refuse to show up. The Senate could vote to cite them for contempt, but it does not convene until January, Judiciary Committee member Bill Wielechowski said Thursday. Wielechowski, a Democrat, said the McCain campaign is trying to "stonewall" the investigation. But Palin and her lawyers argue that the state Personnel Board is the proper venue for the investigation and have asked that three-member panel to look into her July firing of Public Safety Commissioner Walt Monegan. Since his firing, Monegan has accused Palin of trying to pressure him into firing her former brother-in-law, a state trooper who had been involved in an acrimonious divorce from the governor's sister. Palin has consistently denied any wrongdoing and said Monegan, who oversaw the state trooper force, was sacked over budget disagreements. She initially denied anyone in her administration or family had pressed for action against her ex-brother-in-law, Mike Wooten, whom she has branded a "rogue trooper" who threatened her family. But in mid-August, she acknowledged that aides had contacted Monegan's office nearly two dozen times about Wooten. She put Frank Bailey, her boards and commissions director, on paid leave after disclosing that he had tape-recorded discussing Wooten's job application records and a workers' compensation claim with a state police lieutenant in February. French said Bailey gave a sworn statement to his committee through Palin's lawyer, and Branchflower had obtained Bailey's phone records through one of the subpoenas issued last week. 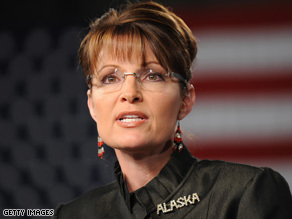 Wooten and Palin's sister, Molly McCann, began divorce proceedings in 2005. Wooten was suspended for five days in March 2006 after state police commanders determined that he had used a Taser on his 10-year-old stepson "in a training capacity;" had driven his patrol car while drinking beer and had illegally shot a moose using his wife's hunting permit -- complaints raised by Palin's family. Of the 13 people subpoenaed, only one -- former Palin aide John Bitney -- had given a statement by Friday. But French said Branchflower was scheduled to interview Murlene Wilkes, a state contractor who handles workers' compensation claims, Friday afternoon. Branchflower told French's committee last week that an employee of Wilkes' firm reported being pressured to deny a claim by Wooten, and Todd Palin had been circulating a picture of Wooten riding a snowmobile on a day when he was supposed to have been out on workers' compensation. But the state attorney general's office has reported the claim was handled normally, he said. Palin attorney Thomas Van Flein argued Thursday that Todd Palin did not have to comply with a subpoena because Alaska state law bars ethics investigations of people running for elected office. Though the law appears to apply only to candidates for state office, a McCain-Palin spokesman said the subpoenas violate "the spirit of the law, if not the letter."